Are you designing a stair for your new house? Are you a professional or a contractor assembling stairs for your clients? 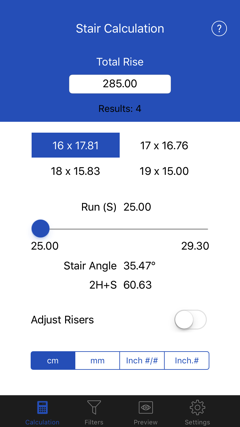 Visual Stair Calc is an App for iPhone and iPad that will assist you with calculating basic stair parameters in a very straightforward way, in many cases with just a single input. 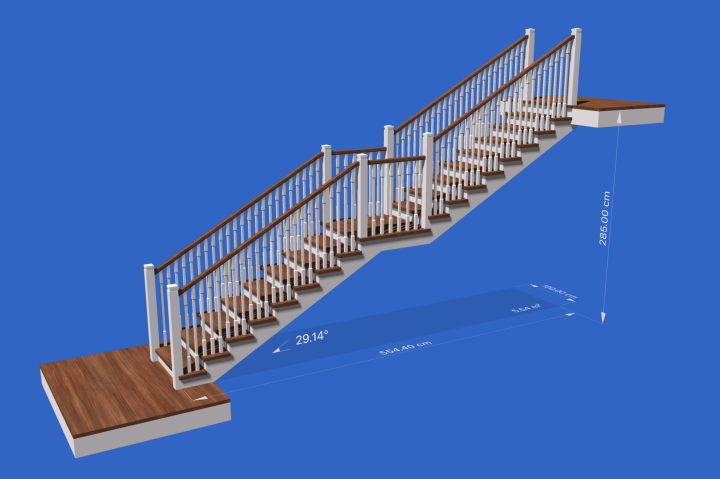 You need to set the total rise (usually this is the floor-to-floor height) which will trigger calculation, display results and furthermore create a straight stair 3D animation of the selected result. Set the total rise (floor-to-floor height) to get valid combinations of number of risers and riser height. They are calculated automatically based on filter settings. Professionals can switch calculation mode to round riser values. Last remaining riser will be adjusted to match the total rise. 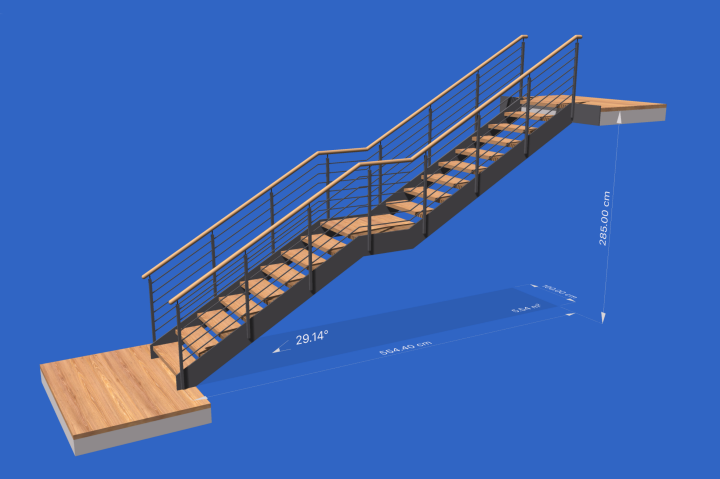 Check visually your stair with textured, shadowed, straight stair 3d-model of the selected result. Watch it from different points of view, zoom in/out, rotate or move. This App does not collect nor process any personal data.